A flash flood has struck a northern Athens suburb following a squall, with the Greek capital's fire department receiving 140 calls for assistance and to pump water from flooded homes and businesses. 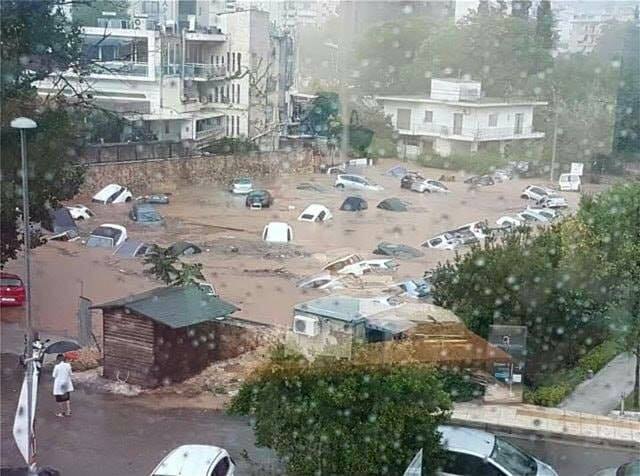 Fire crews headed to an open-air parking lot in the suburb of Maroussi on Thursday to see if there were any people trapped in cars that were bobbing in a suddenly created muddy lake. Authorities urged drivers to avoid the area and shut down a side road off the main highway leading north out of Athens. The flash flood comes three days after a devastating wildfire northeast of Athens killed at least 82 people and injured more than 180. Firefighters battled a number of large blazes on Wednesday as Israelis sought to stay cool during an intense heatwave that set records for highest recorded temperatures in July. Several large fires broke out in the afternoon at the Horshim Forest in central Israel and the Ahihud Forest in the north, as well as at the Churchill Forest near Nazareth Illit. 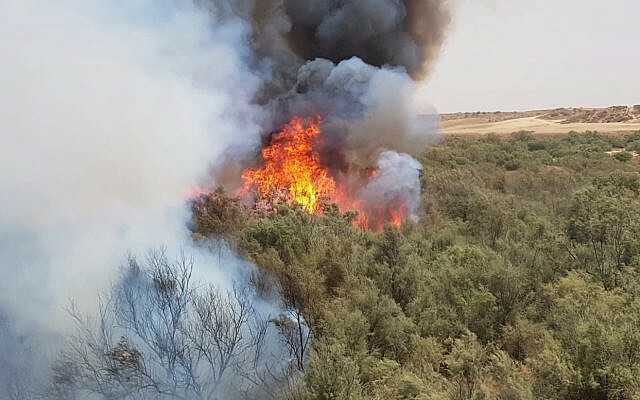 Seven firefighting crews and four firefighting planes were also working to put out a massive blaze near Kibbutz Re’im east of the Gaza border, one of 10 fires that broke out along the border since the morning.